An international team of scientists have identified specific proteins that protect Legionella bacteria from being destroyed by the human immune system, opening the door to the development of new anti-legionella drugs. Scientists at Spain’s CIC bioGUNE (the Basque Centre for Cooperative Research in Biosciences), in conjunction with Barcelona’s SuperComputing Centre and the United States’ National Institute of Health have made an exciting new discovery in the fight against legionella and Legionnaires’ disease. When infecting human cells, Legionella bacteria releases a protein called VipD, which prevents the human cell’s destruction. This means that the VipD protein could, in the future, be targeted by newly developed drugs to stop Legionella bacteria causing infection. 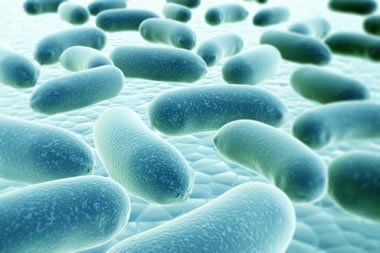 Legionella bacteria was found to release the protein VipD which acts to protect it from the effects of the human immune system. Legionellosis can cause a number of unpleasant symptoms, including extremely high fevers, pneumonia and in some very serious cases, death. With a breeding ground of stagnant water, legionellosis is caught by humans when microscopic amounts of water contaminated by legionella are inhaled. What happens normally is that the bacteria should be eaten and destroyed by human cells. However, with the findings of this new research, the CIC bioGUNE, BSC and NIH scientists have found that the VipD protein is released by Legionella bacteria, and hampers the growth and development of the human cell’s own ‘digestive system’. Specifically, the VipD protein is activated when it comes into contact with the Rab5 human protein, and then hinders the maturation of the cell’s endosome. This is the part of the cell that when mature, is effectively the cell’s ‘stomach’. By preventing this endosome’s growth, it means that Legionella bacteria is able to survive in the cell. In their recent study that was published in the Proceedings of the National Academy of Sciences, a leading US scientific journal, the team, using X-ray crystallography, have managed to determine the molecular structure of the VipD protein, and have also managed to prove that the blocking of both the VipD and Rab5 proteins is achievable, which stops the activation of the VipD protein. These latest developments represent an exciting new door opened in the continuing fight against Legionella bacteria. There now exists an opportunity for new drugs to be developed to act decisively on this specific protein and enable human cells to target and destroy legionella specifically.